Well said Ben Peterson. Now we’re getting past the clutter to the elementary problem. This well constructed summary places this sinister activity in it’s proper context I believe. It’s the USA connection which characterises this behaviour. Democratically elected governments in Central and South America and elsewhere, have been displaced in favour of, at times, cruel dictators, sympathetic to US corporate interests. 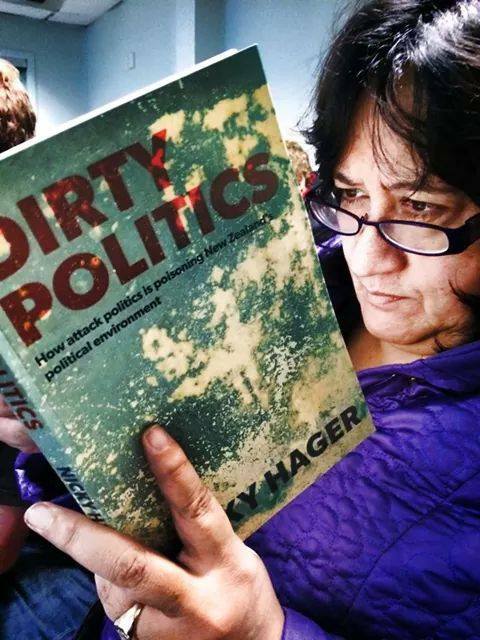 John Pilger has reported extensively on this, and his award winning cinema release on South America was aptly entitled “The War on Democracy.” The agenda for New Zealand is exactly the same … the only subtle difference being this country’s status as a “soft target” which makes it harder to identify. Nevertheless … a war on democracy is exactly what it is. The stumbling block in your argument is in overlooking the anti-democratic nature of MMP itself. There is no earthly reason why political parties would oppose MMP because it enables them to manipulate the makeup of parliament based on the “popular” vote. There are many cases in which a senior MP has no electoral support but remains in parliament by virtue of a list position. When list positions are decided by a party bureau, there is no public accountability, with the result that ideological agendas, and not consensus, drive policy. Thirty years of uncontested neo – liberal policies attest to the fundamentally anti-democratic nature of this system. Privatisation of the media has resulted in a powerfully captive propaganda arm of conservative interests, which completely sidelines dissenting voices as self-evidently “fringe” and “radical”. Should the social-democratic wing of liberal interest get a majority to govern, expect no change in business as usual. It takes a dispassionate eye to see beyond the sideshow histrionics of the debating chamber and the media arm of government. What lies behind the lights and misdirections is a cross-floor cooperation level of around 90%. But don’t take my word for it: go on a public tour of treasury and ask. That is the realpolitik of New Zealand today and they are, in the words of John Key, relaxed about it. And why wouldn’t they be? There is no longer any opposition. What methods do the anti-democracy bunch use to discourage voting and political engagement? Lets not forget an example of this politicking was Slater’s attacks on the tobacco control sector by targeting key individuals hoping that pressure exerting on them would get them to simmer down their public condemnation of the tobacco industry. The posts even included what colour and type of car that an advocate drove, what trips where taken where and when and caused enough heat to eventually make MOH feel nervous enough about pulling funding with no apparent explanation. It didnt work in the end and we ended up with the Maori affairs select committee into the tobacco industry that really brought them out of their shady places.